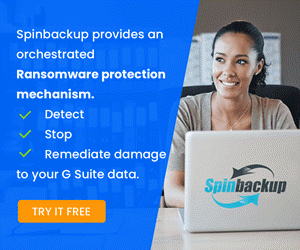 If you have ever dealt with downloading software from VMware and the website, it can be a painful experience to find what you need, download the components, etc. Granted, I am not a UI guy and the experience is most likely as good as it can be made to be for the number of products that are available, versions, patches, and so forth. 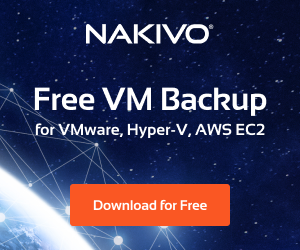 However, if you are looking for a great way to easily download software from the VMware download repositories, there is a great free utility from Edward Haletky – Twitter hanle @texiwill. The utility essentiall is a Linux version of the VMware Software Manager, that in my opinion is better from functionality standpoint as it provides a great way to be able to download software, script software downloads, download updates, etc. In our post today, we will cover briefly some of the highlights of the Linux VSM appliance. Let’s look at how to Download VMware Software the Easy Way with LinuxVSM Appliance. 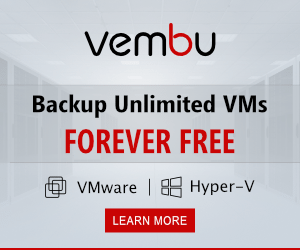 What is the LinuxVSM Appliance? 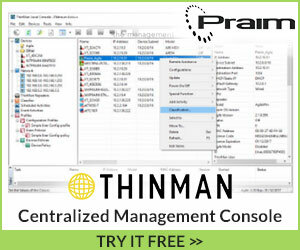 VMware has a product called the VMware Software Manager that is a free utility that allows a way to manage downloading VMware software. It hasn’t had a release since 2016 however and is getting long in the tooth. The LinuxVSM is a phenomenal free utility released by Edward Haletky that is available for download from Github. It basically takes the functionality of the VMware Software Manager and has transitioned it to a Linux appliance. I have found the LinuxVSM appliance to be a great tool for the home lab environment, to be able to download all software needed for various testing, etc. In the home lab, I am using an installation of Ubuntu 18.04 Server to host the LinuxVSM appliance. There are a few dependencies you need to install in Ubuntu 18.04 to install and run the appliance. I have taken a screen clip of those dependencies. Of course any Linux distro you choose, you want to run the normal package updates, etc before you begin installing the LinuxVSM package. To install the LinuxVSM package in your Linux installation, you simply run the install.sh script provided in the downloaded installer. Let’s look at running the LinuxVSM appliance in a typical fashion to pull from the My VMware catalog of products. Below, an example of running the VSM script. ***Note*** You do need a My VMware account to use the appliance, however, this is a free login that you can provision as long as you have an email address. 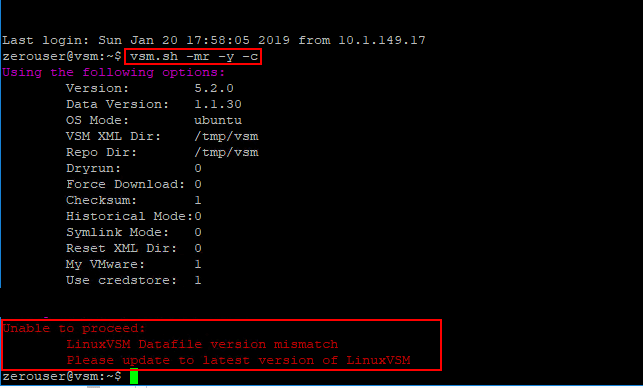 The LinuxVSM appliance does a good job of letting you know if there is an update available for the Datafile version and update of the appliance. Below, you see the message “Datafile version mismatch Please update to latest version of LinuxVSM“. Once you have updated the appliance if needed, you will be able to pull from the My VMware catalog and begin downloading software. Below, I have entered My VMware credentials and have begun to see the various options for downloading software. The LinuxVSM menu system is very intuitive. You navigate by entering the numbers as prompted for the selection you want to make. Here I have selected the Datacenter Cloud Infrastructure option. Below, the options underneath this parent channel are displayed. 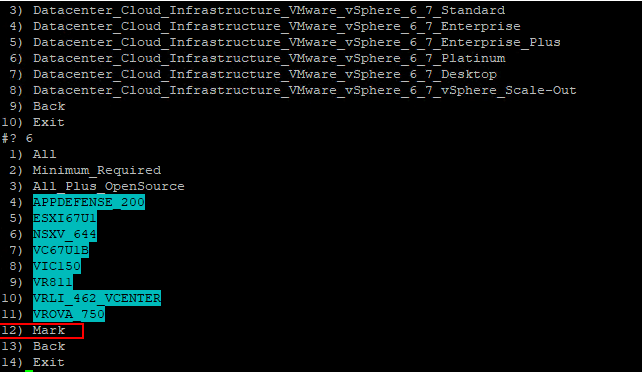 After making some selections here for VMware vSphere, I have options displayed. The Cyan designation means you are seeing packages that are pulled from My VMware that you do not have in your repository. Another great feature of the appliance is the ability to save the files to a mounted share that you have on the LinuxVSM appliance itself. This is great if you have a share where you like to keep your installation files and such. 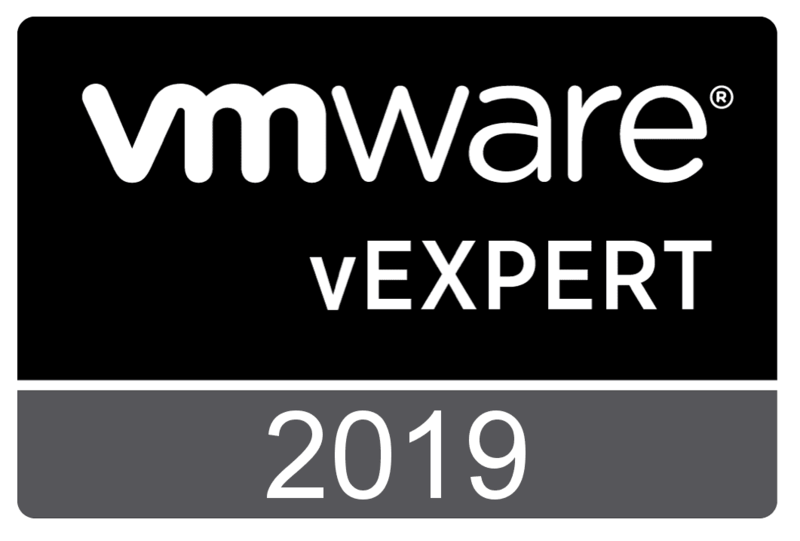 If you are looking for a great way to keep installation files and appliances from VMware downloaded and up to date you can Download VMware Software the Easy Way with LinuxVSM Appliance. 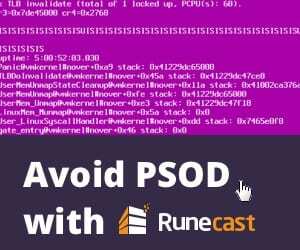 As shown in the post, this is a great tool, especially if you do a lot of testing, labbing, or other proof of concept testing where you want to have the latest and greatest available to you at all times. The appliance is super easy to get up and running based on most any flavor of Linux that you want to spin up (Redhat, CentOS, Ubuntu, etc). After installing just a few prerequisites and running the install script, you are up and running in no time, ready to begin downloading software from VMware.